Joy-Mark, Inc. and affiliated companies produce a comprehensive range of foundry and specialty products made to achieve optimal performance with cost saving results. With solutions for foundry, metal handling, heat treating, refractory insulation, ceramics, concrete and more. 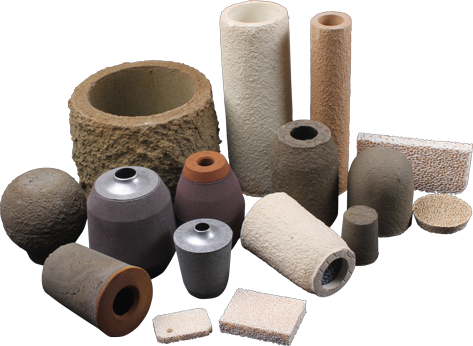 SELEE products for metal filtration in foundries are as varied as the metals for which they are designed. Compositions range from silicon carbide for iron filtration to high-purity zirconia for steel and superalloy applications.